Did you know more than 60% of Americans have some form of grey hair by the age of 40? Some people think hair dyes are the best way to reverse gray hair. But what if I told you there are specific foods and supplements that can promote your natural hair color, minus the dangerous chemicals? When I first began noticing my hair turn gray, I was not sure where the natural path started. The only thing I knew was that although George Clooney looks great with gray hair, I would rather my hair return to its natural color. I have consulted with our staff doctor, Dr. Jose Lizardi, to highlight the best ways to Reverse Gray Hair in 2019. Based on research and consulting with Dr. Lizardi, the best way to Reverse Gray Hair in 2019 is to incorporate the 3 supplements to reverse gray hair (Gray Hair Rescind, Immune Power and Intramax) combined with a correct diet and regular exercise. We have developed 9 different strategies or “best ways” to help you naturally combat gray hair and become one of many gray hair reversal success stories. Dr. Lizardi stressed we need to understand how we get gray hair in order to reverse premature gray hair. Think of Melanocytes as the painter and melanin as the paint. Summary – Melanocytes colors the hair with melanin. As we grow older, health conditions such as Leaky Gut allows excesses of Hydrogen Peroxide to wash the Melanocytes from the scalp. (3) Without Melanocytes, the body cannot color your hair with its natural color via melanin. The gray hair which results is not technically gray, it is hair without melanin. Gray Hair can be just as healthy as naturally colored hair, the only difference is that “gray hair” is lacking melanin. Summary – Gray Hair is just Melanin-depleted hair follicles. Now that we know how hair is naturally colored, let’s dive into the best ways to reverse gray hair in 2019! Curious how to prevent gray hair? DR Vitamin Solutions is here to answer your question! 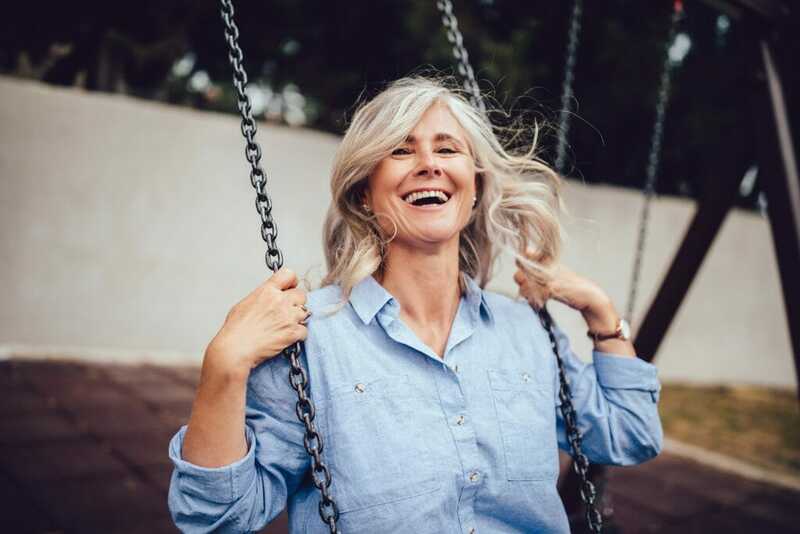 The answer to prevent gray hair in 2019 is to balance your life with quality supplements and a lifestyle to amplify the benefits of those supplements! What is Catalase? Great Question. Catalase is an enzyme that works powerfully in the body. According to Dr. Lizardi, Catalase is your best friend in naturally reversing gray hair. What does Catalase do in the body? Even better question! Here are the 2 Ways to raise levels of Catalase in the Body! Sweet Potatoes – Potatoes, but Sweet Potatoes especially are jam packed with Catalase and are an inexpensive option. Did you know the center for Science in the Public Interest states that Sweet Potatoes are the healthiest vegetable? (6) We are racing you to the Health Market! If the foods on the list are not agreeable with you, or if you prefer supplements; here are our Top Rated Supplements to Reverse Gray Hair. Gray Hair Rescind – Life Vitality Gray Hair Rescind is considered one of the top supplements to use for naturally reversing Gray Hair because it is formulated to reverse gray hair with copper and catalase. This supplement contains all the essential ingredients you need to naturally reverse gray hair. We wrote an article covering the ingredients in this article. Remedy Link Rejuvelon – Remedy Link manufactures the finest quality supplements made with the most expensive extracts. Rejuvelon is a Catalase-based suppository designed to supplement the body with all the benefits of Catalase. Drucker Labs IntraMax – This is the highest quality Mineral Supplement on the market. It is cold-processed meaning it retains the highest amount of vitamin content. Summary – Foods such as Onions and Avocados are Catalase-dense foods. If you would rather use Supplements, Gray Hair Rescind or Rejuvelon are high quality supplements which can naturally reverse gray hair. Repairing the gut must be fixed alongside raising levels of Catalase for the body to be able to break down Hydrogen Peroxide. Leaky gut is the root cause of our bodies becoming unable to break down Hydrogen Peroxide. Recent studies have shown that leaky gut is a primary reason for early signs of aging. (4) When you start a program to reverse grey hair, the first step is to simultaneously raise your levels of Catalase and fix your leaky gut. Probiotics are your solution for a leaky gut. Also known as intestinal permeability, leaky gut is a digestion disorder which allows toxins and heavy metals to “leak through” the intestinal wall. (10) Until the gut is repaired through use of Probiotics, your efforts to detoxify the body will be hindered. (11) Leaky gut compromises the immune system and can lead to regular infections and autoimmune diseases. There are two specie of Probiotic: Bifidobacterium and Lactobacillus. Studies have shown Lactobacillusas as the superior option in the detoxification of the gut. (12) Nutri-Spec Immune Restore or Nutri-Spec Immune Power are high quality Lactobacillus equipped with 6 billion Lactobacillusas strands to detoxify the gut. Immune Power is additionally equipped with a Prebiotic to support the Lactobacillusas Probiotic. Summary – High quality probiotics can help heal Leaky Gut so your body can breakdown Hydrogen Peroxide. Glutathione and Vitamin C have beneficial detoxification effects when used together as a strategy to reverse gray hair. We recommend taking a total 3,000 mg to 6,000 mg daily in three divided dosages. Example: 500 mg of Glutathione 3 times a week is an effective start to reverse gray hair. Summary- Supplement with high quality Glutathione and Vitamin C to detoxify the body of heavy metals causing oxidative stress. Strong health is the result of a strong immune system. If we are going to function at optimal health the immune system needs to be strong. To additionally boost the immune system, we recommended supplementing with a Lactobacillusas probiotic to clean the gut of harmful bacteria. Supplementing with Vitamin A as well can give your immune system an additional boost. Vitamin D is also an important nutrient for our immune system. Studies have shown adaptive immune systems as being regulated by Vitamin D. Deficiencies in Vitamin D weaken the immune system and expose you to absorbing infections. (19) If you live in a sunny area, twenty to thirty minutes of Sunlight can naturally cause the body to make Vitamin D. (20) If sunlight is not on your weekly forecast, Life Extension Vitamin D is an effective supplement. Summary- When your immune system is strong, your body can fight infection and break down Hydrogen Peroxide. Increasing levels of Catalase while fixing Leaky Gut can help promote Gray Hair reversal. Summary- Lowering stress levels is key to reversing gray hair. Ultra Bliss or foods high in Vitamin B6 such as Avocado are practical measures for lowering stress and anxiety. Buffered Vitamin-C, also known as Absorbate Vitamin C, paired with Glutathione and CoQ10 is an effective strategy to strengthen your cells to break down Hydrogen Peroxide. When our cells are functioning properly it helps us operate at optimal health. This should be a high priority for all health-conscious people. Summary- Pairing Glutathione, Vitamin C and CoQ10 is an effective strategy to improve cell health. This would be done by your diet first and also by supplementation. Sticking to raw or organic fruits and vegetables will give you the most nutrient value. Summary- Raw/Organic fruits and vegetables should be the staple of your diet. Eliminating tobacco, alcohol and caffeine would be a good place to start. Make sure you are eating a healthy diet with foods high in nutrient density that allow you to create your own “Reverse Gray Hair Diet”. Summary- Gray Hair cannot be fixed from the outside, it must be healed from within. Do not fall for “miracle cure” ads for gray hair or ads that promise to “reverse gray hair permanently in 3 days”. They may sound nice and appealing, but they do not exist. It is possible to see success in reversing gray hair, but it will take time and it is not instant. Stick with natural supplements to reverse gray hair. Summary- There is no such thing as a “miracle cure” to reverse gray hair. Do not fall for “reverse gray hair permanently in 3 days” scams. Trust the Natural Way. Try Gray Hair Rescind Today! The keratin is naturally colorless. It is the same protein that is used to produce the nails on your fingers and toes. As we age the pigment cells attached to our follicles will become less active. There appears to be a kind of setting that each person’s pigment cells are preset to which determines how long they will continue to produce the color for your hair. Each person begins to gray at around the same time- between the ages of 35 to 45. But some people fall outside of this normative range for reasons that are probably best explained by genetics. For the best estimate of the age at which you are likely to turn gray, ask your parents when they started losing their hair color. Barring injury and extreme stress, this is the best predictive factor. Going gray usually doesn’t begin all at once- and certainly, hairs do not suddenly turn white overnight. Even if the supply of pigment was suddenly cut off completely, the hair would still have to grow out to start showing grayness. Rather, graying will happen gradually as the pigment cells slowly begin to curtail their function. Eventually, these cells will die off entirely- at which point all of the keratin emerging from your scalp in the form of hair will be free of pigment and appear white. Certain lifestyle choices and environmental factors can accelerate the graying process. Exposure to toxins, poor nutrition, smoking, and certain types of injuries can accelerate the process. Iron deficiencies and thyroid problems can also cause or exacerbate the graying process. Summary- Going gray does not begin all at once. A lot of people report having gone gray after a stressful or traumatic event, but is there any scientific data to back that up? This is an area of human biology that is pretty difficult to research. After all, it would be pretty unlikely to get funding and ethics approval for a study involving intentionally inducing high levels of stress on human subjects. That’s the kind of thing you would expect to see in a Monty Python sketch. There have been studies done on mice which do, in fact, seem to show that stress can cause premature graying. In 2013, some of these studies seemed to suggest that it was the presence of high levels of stress hormones that appeared to precipitate the early graying of hair in mice. What was found is that mice with high levels of stress hormones like cortisol, had their pigment cells migrate away from the hair follicles, resulting in white hair growth. Researchers also believe that an overabundance of stress hormones can disrupt the signals that trigger pigment cells to deliver pigment to the keratin producing cells at the base of the follicle. This second factor could take place without the pigment cells needing to die off- making graying hair harder to predict. Stress can be an indirect cause of gray hair. But these studies do seem to offer some pretty compelling evidence to support the belief that stress can cause gray hair. Of course, while these studies are compelling- they have not been conducted on humans- which means that according to science, the jury is still out. Nevertheless, many people will reasonably conclude that the results found in these mice studies are indicative of what happens to human hair color after a prolonged period of stress. To achieve these results from a sudden trauma, it would be necessary to prove that a single event caused the production of melanin to stop abruptly. This would seem unlikely and would be even more difficult to prove in clinical trials. However, it is likely that people will continue to believe that a single terrifying event can cause our hair to turn completely gray overnight. The best way to overcome gray hair is to use quality supplement and a healthy/active diet and lifestyle, these are keys how to reverse gray hair due to stress. Summary- There is compelling, but no solid evidence that stress is the cause of gray hair. Since a hydrogen peroxide buildup depletes necessary oils on your scalp, can you imagine ways it might be depleting your entire body? It could eventually create a terrain – or landscape – that begins to favor disease over health. A compromised immune system wreaks havoc on your body, including putting stress on your Thyroid. This, in turn, increases your likelihood of infection. Are you seeing a process here, a chain reaction? One way you can optimize your system is with a natural antibacterial defense such as Oregano Leaf. This will counteract the process, provided you also cut back on refined sugar. The Mayo Clinic says that a lack of sleep can make you sick, and suggests 7 to 8 hours of sleep for adults and a minimum of 10 hours of sleep for school aged children. (28) If you’re in a healing mode — as you will be once you begin to change your lifestyle — we suggest even more. Great, you say, if you could only sleep! Ah, changing habits is hard, isn’t it? You might first think about your diet, and how much refined sugar or other stimulants you’re consuming. 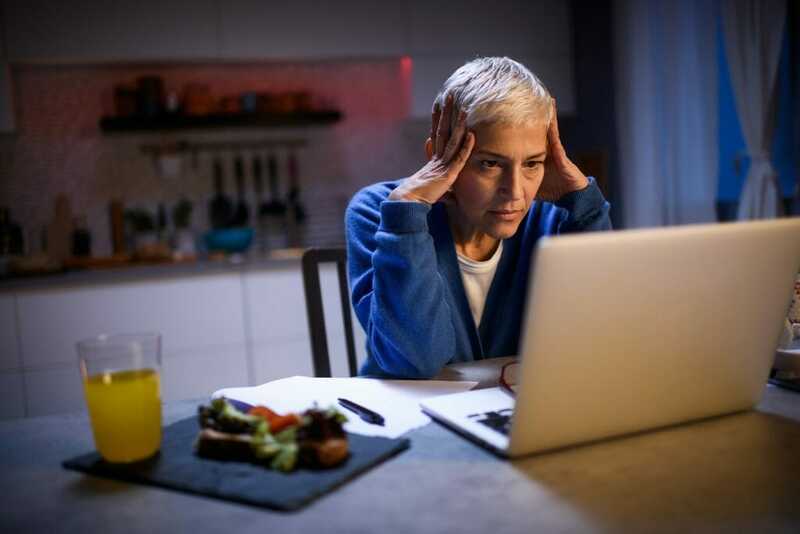 A great first step towards changing your habits would be to take heed of all of the news today about shutting off your devices at least two hours before bedtime, and allowing yourself the time to wind down. Training yourself to resist the phone, computer, or other mental or physical activity for two hours might take a lot of self-discipline, but it will be easier if you can remember why you’re making these changes. You probably won’t be surprised to hear that unhealthy foods and other things you put in your body play a big part here. The main culprits are refined sugars, processed food, bleached white flours, overuse of alcohol, and/or consistent smoking habits. Effective “Reverse Gray Hair Diets” do not processed foods that stop progress. Oh, processed foods can be tempting! Quick and easy they may be, but the artificial colors and sweeteners in processed foods do not benefit your health. Soft drinks and foods containing Monosodium Glutamate (think chips, sausages, and soups) do not reverse gray hair or help you develop a healthy mane because they lack the nutrients your body needs. Want some new results? Try some new foods. Fermented foods, for example, are a proven solution to reverse graying. Incorporating foods such as Kefir, Kombucha, Sauerkraut, Pickles, Miso, Tempeh, Natto, Kimchi, Raw Cheese, and Yogurt will fill your gut with good bacteria and help your body get back on track. Gray hair reversal success stories do not involve diets made cheeseburgers and hot dogs. A 2013 study showed a significant correlation between smoking and gray hair before the age of 30. (30) If you’re a smoker, you’ve probably also read compelling evidence that smoking is an assault on your body. But, as we all know, smoking is highly addictive, so don’t despair if you haven’t been able to quit yet. Keep learning about different methods people have successfully used to quit — and if you can’t find one that works for you, consider putting together your own approach. Whatever you do, don’t beat yourself up about it, treat it as a serious addiction, and look for a serious solution that works for you. 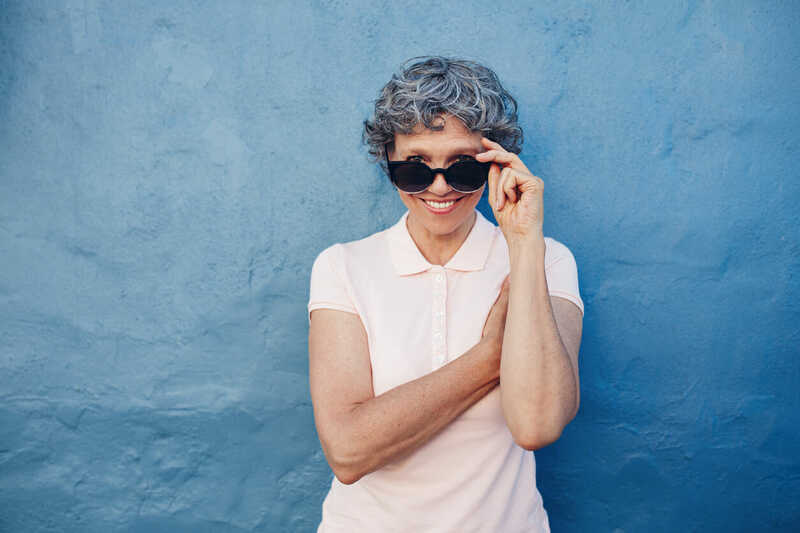 According to Sandra Gilman, Trichologist and Director for Education at The Elan Center for Trichology “If the person is predisposed to gray hair, stress will make it appear sooner.” Stress can definitely reveal itself in your hair, and gray or white hair caused by stress is reversible. Now that your body has gotten your attention with the gray, let’s take a look at what you can do for it before it ramps up the noise. Of course, reducing the level of stress in your life is not an easy task. But dealing with excessive stress has become a key focus today. Many people agree that they need to find more relaxation and calmness in their life. There are many ways to reduce the stress. You can weed out personal habits that ramp up the stress, or start some new, healthy habits such as meditation, walking, spending time in nature, visiting with friends, or a hobby. Just find something you enjoy, and begin. With all the ideas you find about what causes gray hair and how to reverse it, how do you know what to believe? It can be pretty confusing, can’t it? We suggest that you take a look at the company behind the words you read, because a solid and experienced company will offer solid and effective products. If you’re already a customer here, you know how invested we are in your health – we thrive on helping you rediscover your natural, youthful vitality. But if this is your first time here, please allow us to introduce ourselves. Since 2008, DR Vitamin Solutions has offered only the very best quality nutritional vitamins and supplements available. Our Wellness Team shares an active curiosity and passion for discovering the most beneficial solutions for your health. Your success is our passion! So we’re glad you’re here today to pursue your quest to reverse gray hair and early aging, because we have put together the information and effective solutions you need. In fact, our team has found the very best nutritional supplement available today to reverse premature graying – Gray Hair Rescind. Life Vitality Gray Hair Rescind is one of the Top-Rated Gray Hair Solutions because it contains the correct combination of ingredients to reverse gray hair with Copper, Catalase and Vitmain B. Gray Hair Rescind has been uniquely formulated to give your body what it needs to create the thick, healthy, and beautifully colored hair you want. Best Way #2 – Reverse Gray Hair Permanently with a quality Lactobacillus Probiotic to fix leaky gut. Best Way #6 – Fortify your cells using buffered Vitamin C, CoQ10 and Glutathione. Best Way #9 – The natural process is longer, but it is safer. Do not become impatient and fall for a “miracle cure” scam. Reversing Gray Hair is a recipe of discipline and consistency with the correct Gray Hair Solutions, we recommend using these best ways as a life-changing opportunity to learn how to live free of chemical-coloring and GMO-foods. 1. Life Vitality Gray Hair Rescind– Naturally reverse gray hair with Copper and Catalase. This supplement, in my opinion, is one of the best Gray Hair Solutions because of the powerful ingredients we researched to make it effective. I recommend starting with a 1 Month Supply for $19.87. 3. Nutri-Spec Immune Power – Your solution for Leaky Gut. I would recommend purchasing one bottle of this supplement as mandatory as it is vital to repair leaky gut so you can get on track to see the return of your natural hair color. With these 3 supplements, reggular 2-3 times of weekly exercise and a non-processed “Reverse Gray Hair Diet,” you will be on your way to becoming one of many gray hair reversal success stories. The slow and natural way is the Gray Hair Cure 2019. Thank you for taking the time to read Best Ways to Reverse Gray Hair in 2019.